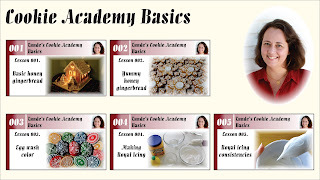 You can use royal icing to decorate your cookies. 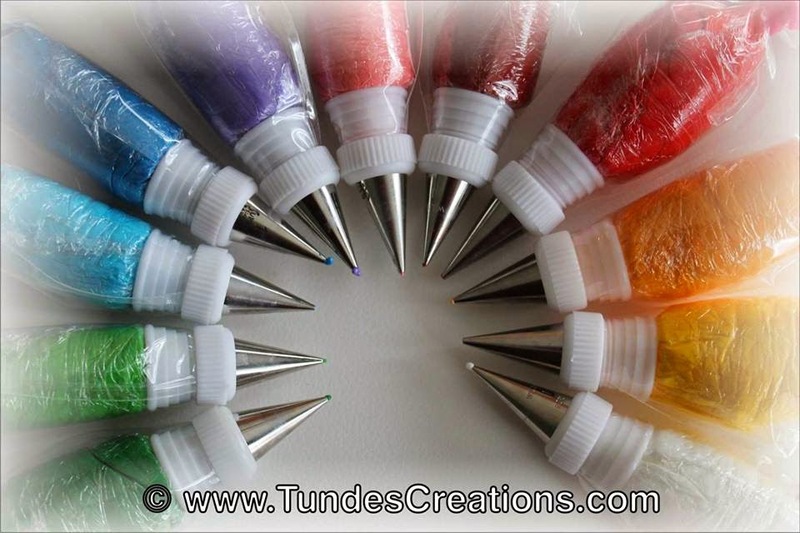 It’s easy to prepare, dries fast and you can color it using gel food coloring. 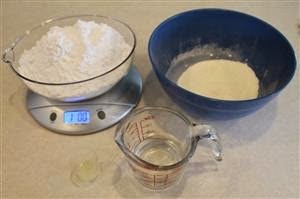 You can always adjust the consistency of the icing by adding more water for thinner or more confectioner’s sugar for thicker consistency. I share two recipes, they both work great, but for big projects that may take several days you will definitely need to use the meringue powder royal icing. You have to use it within 1 day or refrigerate in an airtight glass container for up to 3 days. You don’t need to refrigerate, keep in a cool dry place for up to 2 weeks and rebeat before using. First prepare the bags. 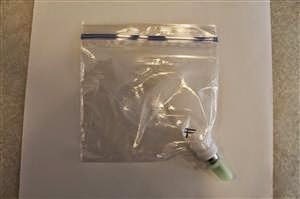 I use resealable sandwich bags with couplers and decorating tips. Tip #1 for the regular icing and tip #3 for the flood icing. You can choose to use just the bags and cut a tiny hole in the corner. You can also use professional decorating bags if you wish. 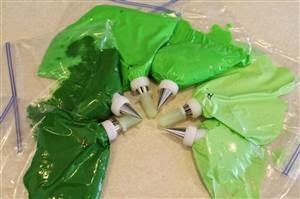 I usually mark the bags containing the flood icing, to know which bag to reach for when decorating. It’s helpful to put the bag in a cup, folding the opening around the rim. This makes filling the bag much easier. Decide which recipe to use and prepare the ingredients. 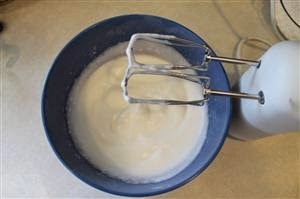 Add meringue powder to the water in a bowl (for egg white icing use the egg whites) and beat until it forms soft peaks. Lower the speed and gradually add the confectioner’s sugar. Add the lemon juice and beat for an additional 5 minutes. 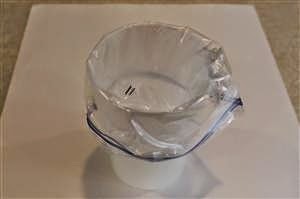 Cover with plastic wrap until ready to use. 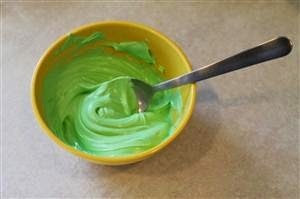 Coloring: Gel paste food coloring will not dilute your icing and gives bright color. 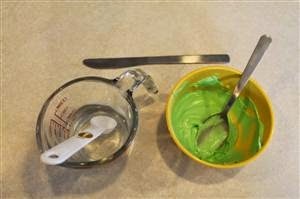 I usually mix the icing color I want in a tiny bowl, take out one third of this regular icing in a bag and dilute the rest to make the flood icing of the exact same color. Flood icing: Add a few drops of water until you get the right consistency. If you draw a knife through the icing it has to completely come back together in 10 seconds. If it does not, it needs a few more drops of water.